By Bradley Miller, Professor of History at the University of British Columbia, published by the University of Toronto Press. 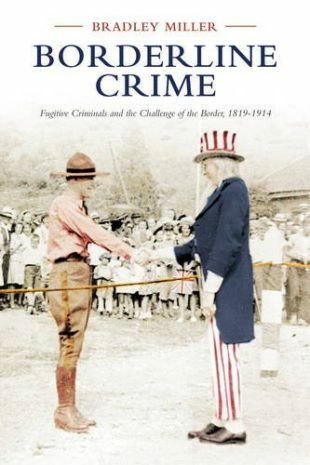 This is the first comprehensive history of cross-border Canadian-American interactions in relation to fugitive criminals, escaped slaves, and refugees. Miller examines the complexity of those interactions, which involved formal legal regimes governed by treaties as well as informal and extra-legal phenomena such as abductions and ground-level ‘customary’ co-operation between low-level officials. All of this is set against the background of a developing international law and evolving ideas about extradition in other parts of the British empire.